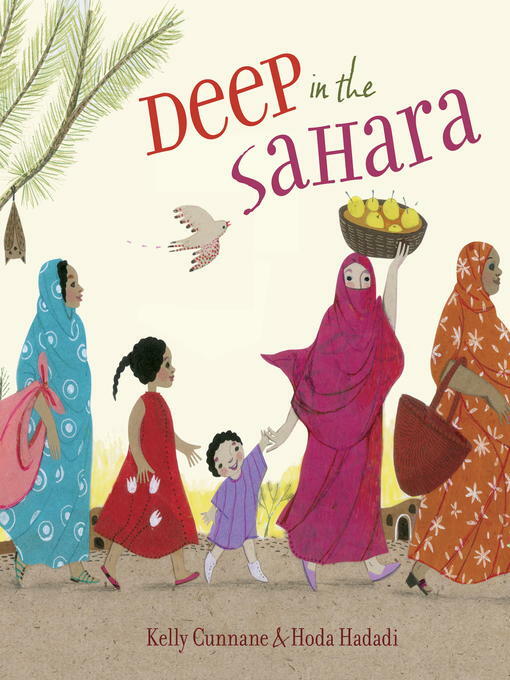 "Poetic language, attractive illustrations and a positive message about Islam, without any didacticism: a wonderful combination," declares Kirkus Reviews in a starred review. Lalla lives in the Muslim country of Mauritania, and more than anything, she wants to wear a malafa, the colorful cloth Mauritanian women, like her mama and big sister, wear to cover their heads and clothes in public. But it is not until Lalla realizes that a malafa is not just worn to show a woman's beauty and mystery or to honor tradition—a malafa for faith—that Lalla's mother agrees to slip a long cloth as blue as the ink in the Koran over Lalla's head, under her arm, and round and round her body. Then together, they pray. An author's note and glossary are included in the back of the book. KELLY CUNNANE received the Ezra Jack Keats New Writer Award for her picture book For You Are a Kenyan Child, which the New York Times described as "entrancing . . . [an] inviting introduction to a different culture." Her book Chirchir Is Singing was an ALA-ALSC Notable Children's Book. Kelly has lived and taught in Kenya and Mauritania and currently lives in Beals, Maine. HODA HADADI is a children's books illustrator living and working in Tehran, Iran. She has illustrated more than forty books for children and has won numerous international prizes, including the New Horizons Bologna Ragazzi Award and the Grand Prix of Belgrade. This is her first U.S. picture book. Cunnane (Chirchir Is Singing) introduces a Mauritanian girl who’s fascinated with the malafa, the veil the women in her family wear. The second-person narration (“you watch Mama’s malafa flutter as she prays”) presents the veil as desirable rather than confining and describes the girl’s wish to wear it so she can be beautiful, like her mother, or mysterious, like her sister. Her relatives reject these superficial reasons. It’s not until the girl shows she understands the malafa as a sign of Muslim belief (“Mama... more than all the dates in an oasis, I want a malafa so I can pray like you do”) that Mama gives the girl one of her own. The warm, affirming portrait of Islam (“A malafa is for faith”) makes this a valuable resource for both Muslim audiences and a broader readership interested in potentially unfamiliar customs and observances of faith. In Iranian artist Hodadi’s U.S. debut, her round-faced characters and affectionate scenes of Mauritanian family life (drinking tea on cushions, carrying trays of goods to market) keep the atmosphere friendly and lighthearted throughout. Ages 4–8. Copyright 2013 School Library Journal, LLC Used with permission.